2006 《Electric Apricot: Quest For Festeroo（英语：Electric Apricot: Quest For Festeroo）》 Jonah "the taper"
^ Seth Green Biography. Basic Famous People. [2007-11-24]. 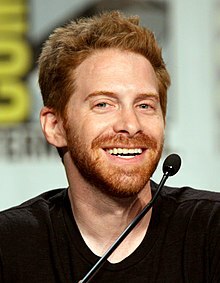 ^ Tweens: Seth Green. Jewish United Fund/Jewish Federation of Metropolitan Chicago. [2007-11-24]. ^ Mass Effect: Q&A with Seth Green. CNET Networks, Inc. 2007-10-18 [2007-11-24].